Step one - tape off the glass at the top of where you want the glitter to stop. 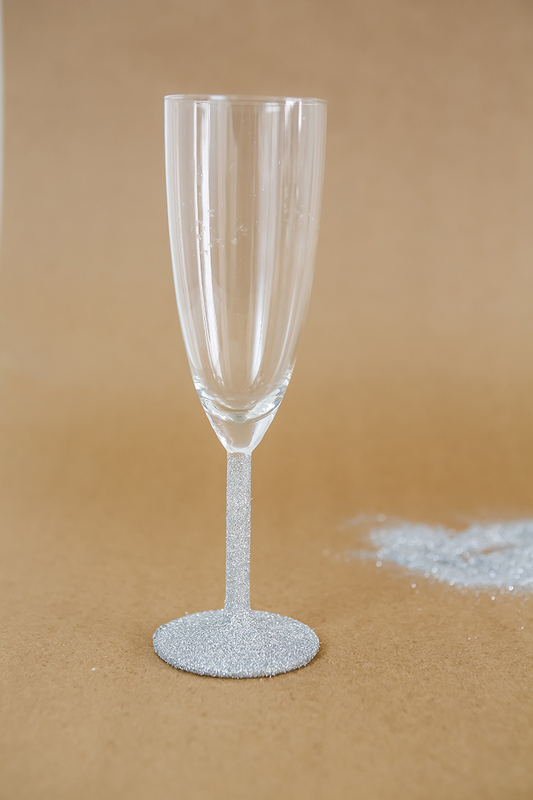 We just glittered the stem. 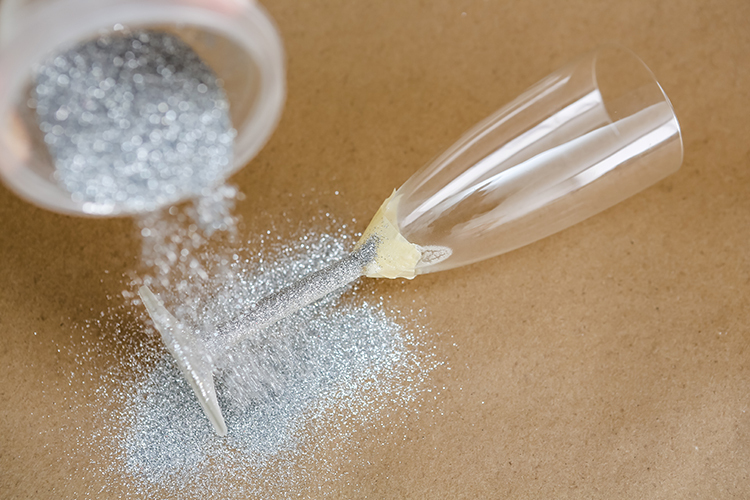 Step four - shake off excess and spray with another coat of adhesive to ensure the glitter is set. Let dry for several hours. Enjoy! 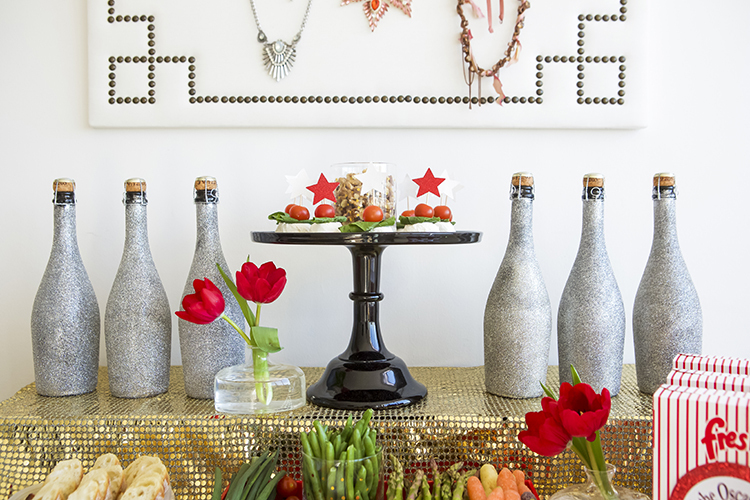 We glittered some champagne bottles too...because WHY NOT!? We added in some gold glitter and some white glitter...which do you like best? Next up - FOOD. Small nibbles were the name of the game for this gathering. We started with some deconstructed Caprese bites with a balsamic dressing, which we prepped in our Glad containers the night before. We love the small sized containers, PERFECT for dipping! 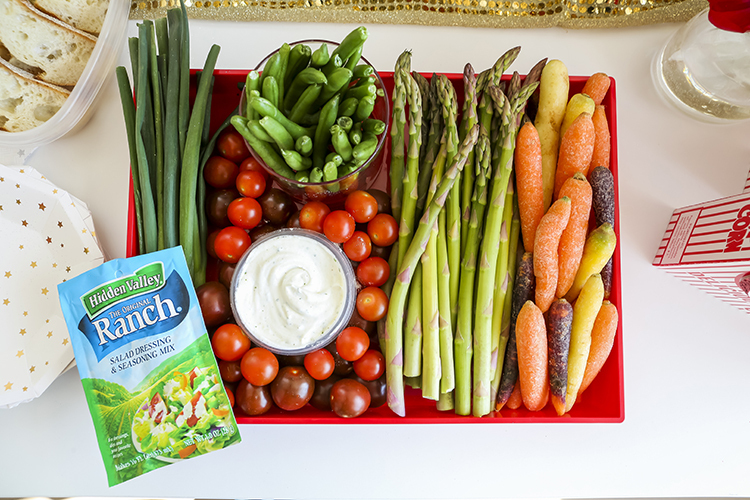 Also on the menu, a fresh and colorful crudite and dip. Prep, wash and chop all veggies the night before and simply assemble when guests are on their way over. Hidden Valley Ranch dressing just makes everything better, don't you agree? We wanted to try something new so we tested out their Greek Dip recipe...um, WOW. It was so delicious and our guests agreed! 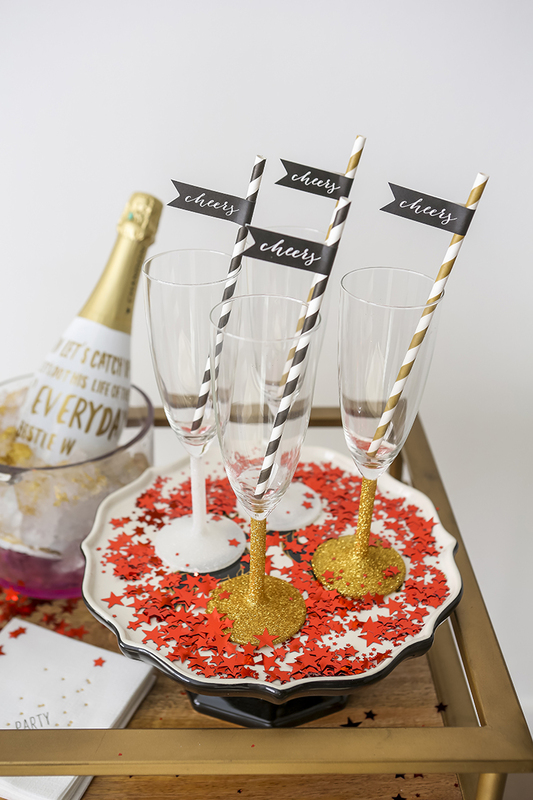 Because our table didn't have enough glitter, we decided to keep our bubbly cold in a bucket of glitter ice cubes. Want to see how we did it? Simbly use your Brita water pitcher to fill up an ice cube tray (a star shape would be AMAZING here!) and sprinkle in some glitter. Pop in the freezer and voila!! GLITTER CUBES! 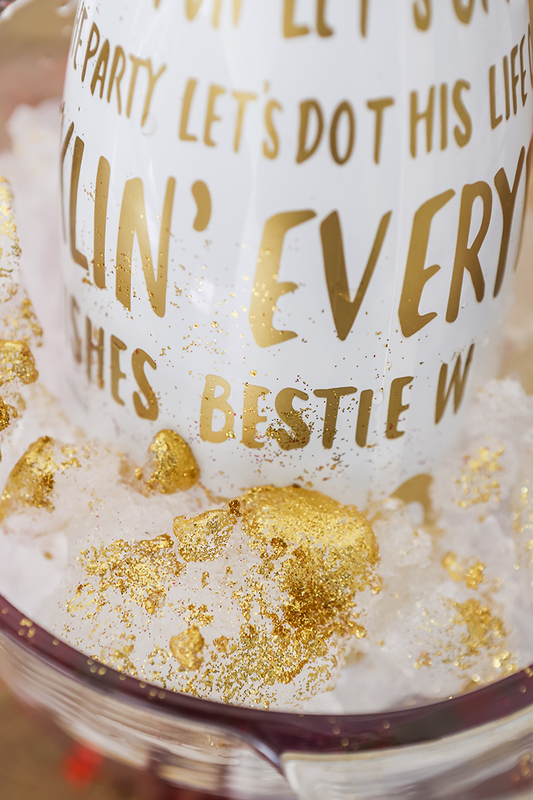 Sprinkle some metallic star confetti and youre ready to PARTY! 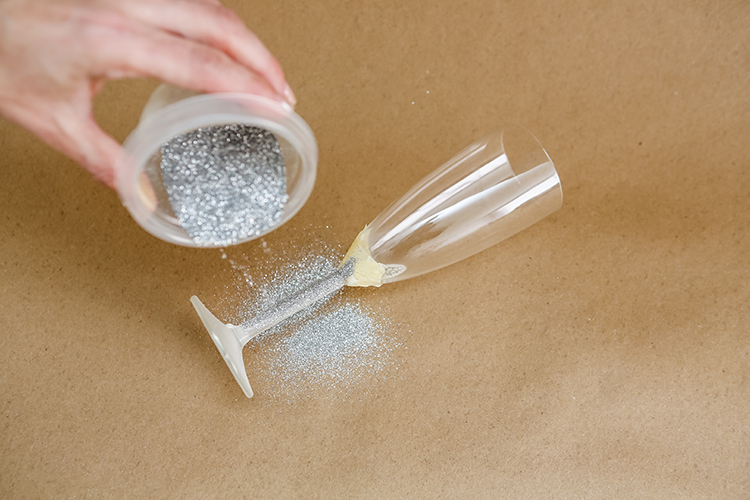 For more on getting your friends together for the big night, find our tips on the Gather Now Tumblr Feed.